Choosing a country, outdoor wedding suits many couples as it gives them space to relax and we can get some spectacular photos especially at sundown. This lovely bride Jeshy said that this photo was what she always dreamed of so I say to my couples...dream away...it creates magic! Ricky and Jeshy worked out the time of their wedding day so that they got the best of all worlds - beautiful photos but plenty of time with their guests! They decided that a First Look would really suit them. They could have the majority of their photos taken before the wedding ceremony allowing time with their family and friends after. The ceremony was at a friends farm, with cattle overlooking the proceedings. The celebrant was slightly nervous the cows would come up behind him unawares and asked the guests to keep an eye out for him! The cows were full of lucerne hay and very placid as it turns out, so they were no trouble at all. Afternoon tea in the barn was enjoyed by all and then 15 minutes before the bride and groom had to leave for their wedding reception the sun began to set over the valley and gave them such magic photo moments in the field, sun streaming down and the Drought Master cattle entertained. 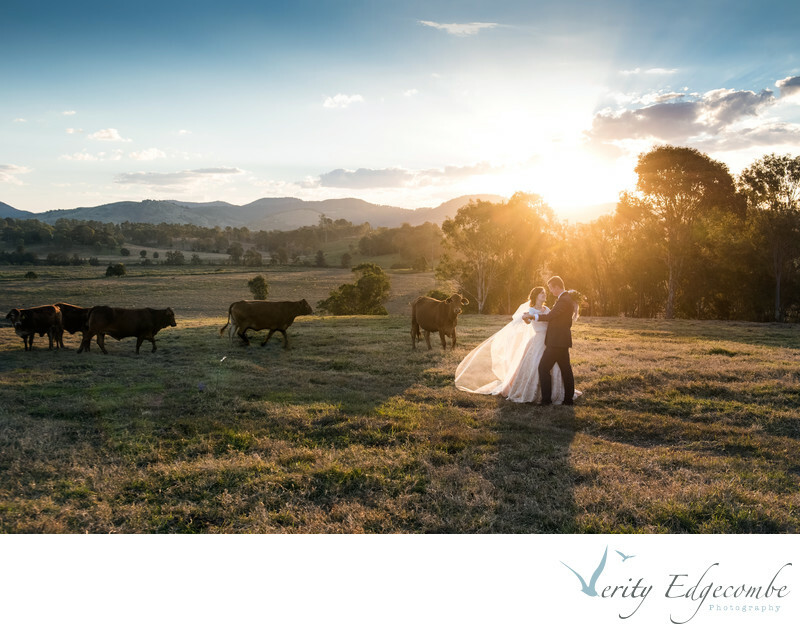 Why don't you contact Verity Edgecombe Photography here, to create your dreamed for photos!